Thank to Veronika from Veronika's Blushing for guest posting today! Hugh Hefner once said that he was going through a blonde period (reffering to his platinum-haired godesses...or was that Charlie Sheen?) Either way, I had a blonde period of my own, and during that time I was all about wearing black. I loved the way black made my blonde haircolor pop and made every outfit look sophisticated even when I was crunched for time. 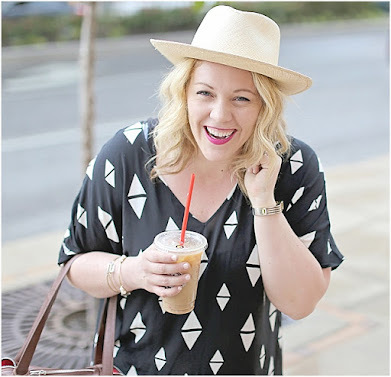 My love for black was evident when I started to blog. I began getting comments about how my outfits were always black, how I wore too much black, how I need to stop wearing black...and, well, you get the picture. Black was a security blanket for me. It felt easy and comfortable and chic. Why experiment with color when I was perfeclty happy in my ebony emsembles? The truth is, wearing black all the time got boring. I would see other bloggers rocking prints, colors and brights and I wanted to be able to have the confidence to wear those colors as well. Add color via accessories---a hot pink handbag was the catalyst for it all. I also added lots of gold jewelry and turquoise to add a pop of color. It's so much easier to add color when you do it one thing at a time. Start slow--- add a brightly colored top or cardigan to your black outfit to break it up a bit. Or, wear a black top but try a brightly colored skirt. Resist buying more (black)--- I had to make a conscious effort while shopping not to buy black clothing. It's so easy to be attracted to black clothes and want to buy them because they look great---but remind yourself that you already own way too many black pieces and venture out of your comfort zone. Get inspired---when you see a blogger who's wearing a color combo you love---save the photo and before your next shopping trip, be sure to reference the photos you love so you can look for similar colors to add to your exisiting wardrobe. Create a working closet--- don't let your closet become a mish-mash of everything you own---organize it so it's easy to select your outfits and organize it by color (I like to go from light to dark). Put all of your long sleeve tops together in color order, then short sleeves, then sleeveless, etc. Make your closet easy to navigate and it will be easier to infuse your colorful new purchases into your daily outfits. Be confident--- the first few times you vere away from that comfort-zone black, you may feel a little awkward, but remind yourself how much brighter and more fun you look. 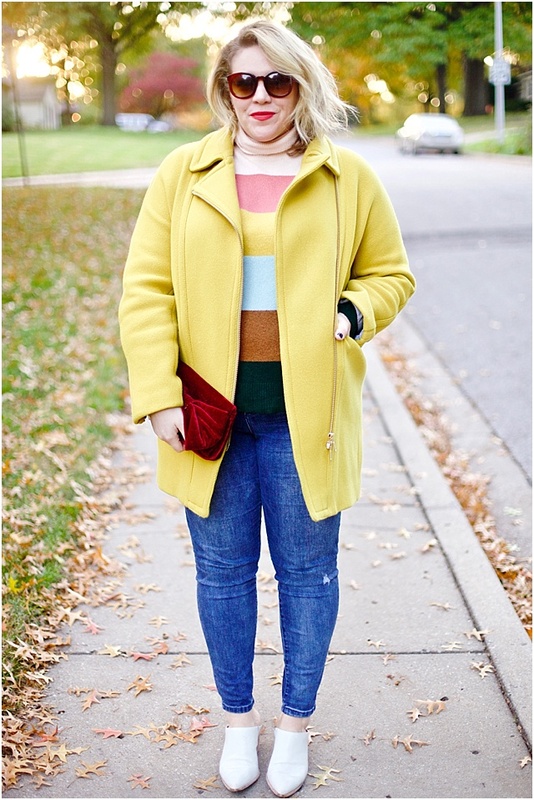 I have a few items that always put a smile on my face when I wear them---the colors just put me in a great mood! Do you tend to wear black all the time like I used to, or do you live for color? Leave me a comment below or come visit me at Veronika's Blushing.